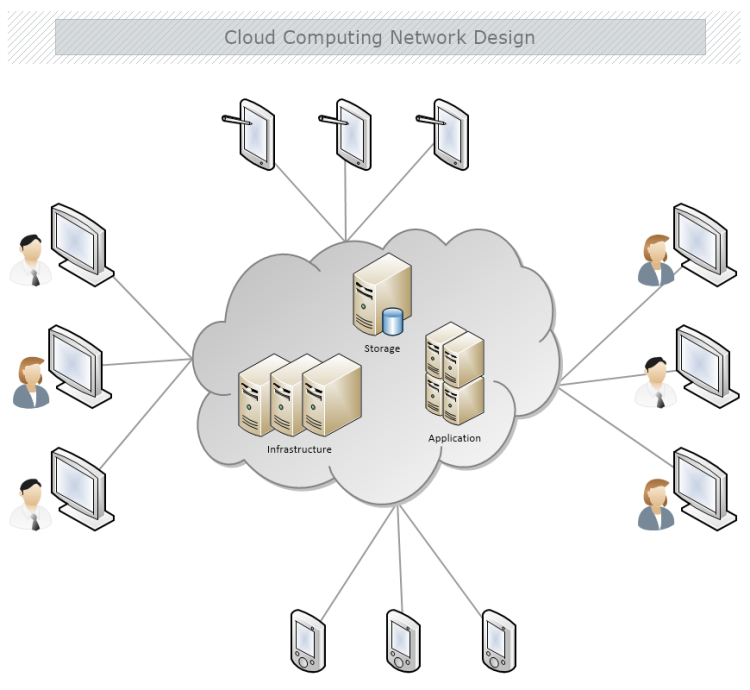 The cloud computing network design template demonstrates how cloud computing works in an enterprise. Cloud computing allows for on-demand network access to a shared pool of resources like storage, applications and infrastructure. The example uses Visio-like Network Diagram shapes. Use MyDraw to create your own network diagram designs.